Home>New Songs>Berner Songs> Berner & Kevin Gates Get Icy On Their New Track "Light Show"
Berner's known for flooding the streets with music but he's been relatively silent since the release of The Big Pescado. We could only assume he's been locked in the studio and cooking up for his next release but fans have been eager to hear what he has up his sleeve. Thankfully, the wait is finally over and Berner is back with some new tunes. Today, he comes through with his latest track, "Light Show." Berner is back with his new track, "Light Show" featuring none other than the BWA boss himself, Kevin Gates. Berner's new single serves as the first single we've received from him from his last album that he dropped at the top of the year. Berner recruits Cozmo for the smooth, hypnotic production on the track. Berner holds down the hook and the first verse before handing the mic over to Kevin Gates for a stand-out verse. Hopefully, the release of this song is a hint that we could expect something new from Berner in the near future. Kevin Gates is clearly kicking into gear for the release of Luca Brasi 3 which will mark his first full-length project since his release from prison. He's already announced a tour which is set to kick off this fall. Additionally, he just released his surprise EP with Youngboy Never Broke Again, 4 Respect over the weekend. 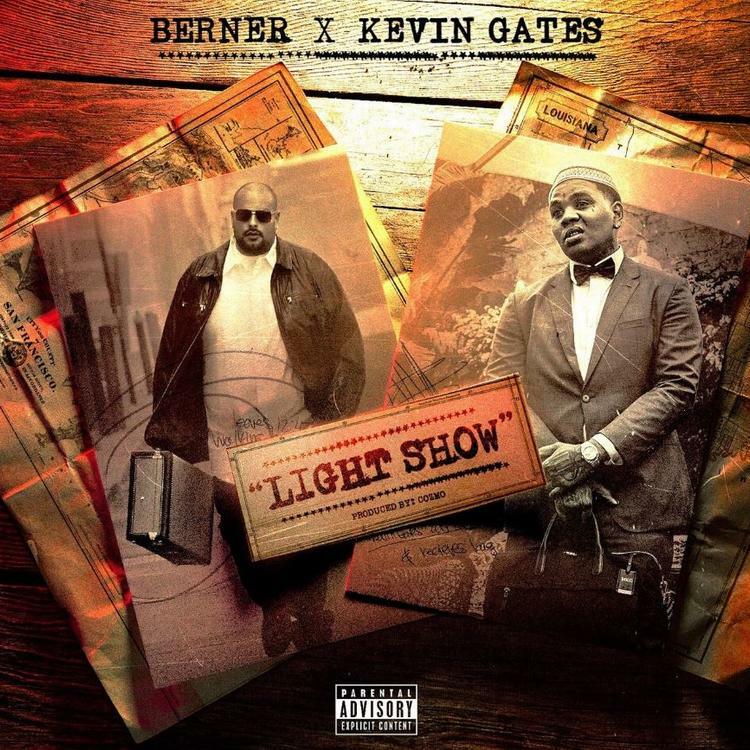 SONGS Berner & Kevin Gates Get Icy On Their New Track "Light Show"